Over the past two weeks, reports have come in about many Jamaats and how they commemorated the Promised Messiah Day – the day when Hazrat Mirza Ghulam Ahmadas took the first oath of initiation, forming the Ahmadiyya Jamaat in Islam. Formal events on this occasion usually include members of the Jamaat gathering at a nearby mosque or Salat centre to remind themselves of the oath they have taken to spread the message of Islam Ahmadiyyat to the corners of the Earth, come what may. This is done through local Ahmadis delivering speeches on the subject, reviving their own faith and the faith of those listening – a tradition that has lasted many decades in the history of the Jamaat. 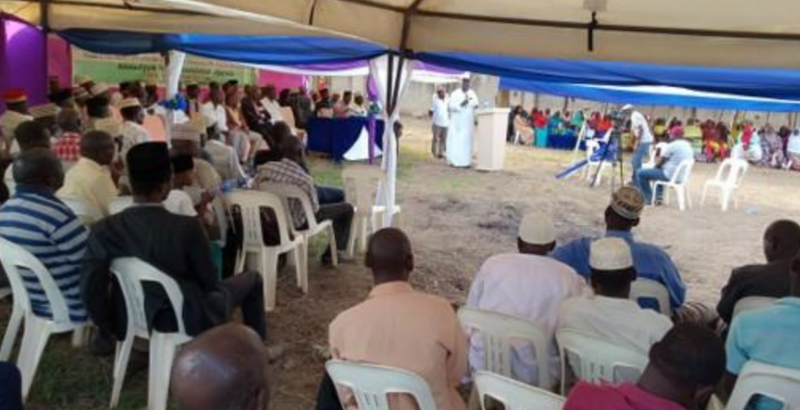 Uganda Jamaat held a large event with 855 people in attendance at the Nasir Mosque, Iganga regional headquarters. Among other features of the event, speeches were delivered to the participants in which members of the Jamaat and external guests had the opportunity to talk. Speeches were delivered on signs proving the truthfulness of the Promised Messiahas as well as the Ahmadiyya Jamaat being the need of the hour. Local council members were invited to talk to the congregation and they thanked members of the Jamaat for the beneficial role they play in the local community and urged them to continue to do so. 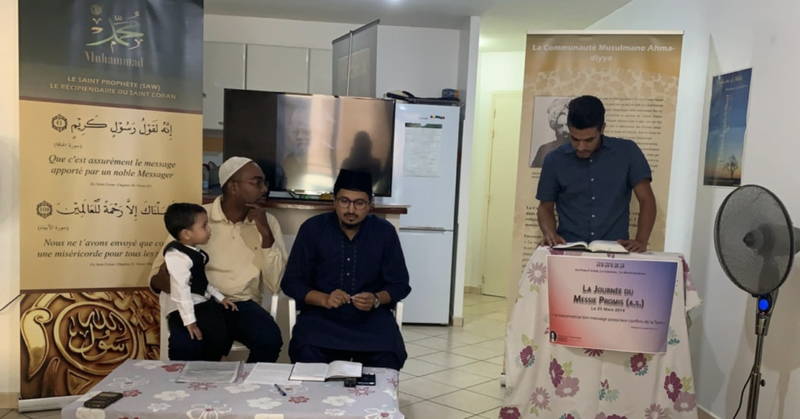 In Baitun Nasr, Oslo, Jamaat-e-Ahmadiyya Norway commemorated the Promised Messiah Day on a similar pattern with faith-inspiring speeches on the advent of the Promised Messiahas. A pertinent question was also covered in a speech: How to perform tabligh in a Western country like Norway. Honduras Jamaat held its first ever Jalsa on the Promised Messiah Day. During the event, local Spanish-speaking Ahmadis actively participated, after which the missionary of Honduras, Imam Zahir Ahmed, delivered a concluding speech. Similarly, Jamaat-e-Ahmadiyya Guadeloupe also held its first ever Jalsa commemorating the Promised Messiah Day. The local French-speaking Ahmadis were able to deliver speeches and participate in the event wholeheartedly. After the main speech of the event, the locals asked questions on the Promised Messiahas and the Ahmadiyya Jamaat in Islam, which were answered by the missionary, Imam Luqman Bajwa. Canada Jamaat, a relatively older and larger Jamaat than some of the above, held Jalsas throughout the country to honour the occasion. On average, each area where the Promised Messiah Day was commemorated saw around 1,000 attendees. One of the main events was conducted by Vaughan Jamaat in Peace Village where speeches covered topics such as the Promised Messiah’sas love for the Holy Prophetsa, unique signs of his truthfulness and the ten conditions of Bai‘at – something all Ahmadis aim to live by, in accordance with the teachings of Islam. 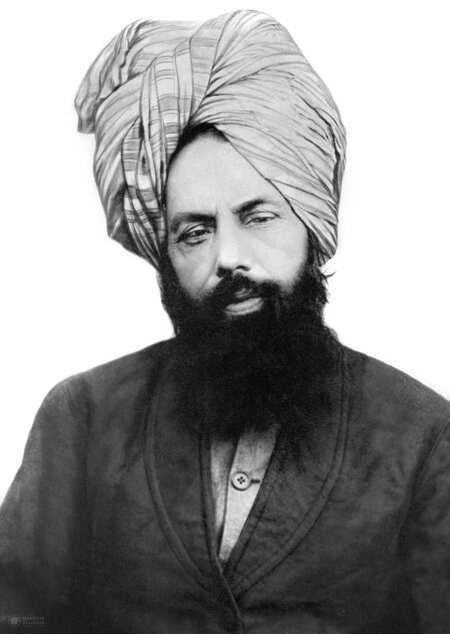 These events not only point towards the importance of the event, but also foster in the coming generations the importance of being an Ahmadi, the responsibilities that rest on our shoulders and the goals that we must meet in order to fulfil the desires of our master, the Holy Prophet Muhammadsa and his humble servant, Hazrat Mirza Ghulam Ahmadas. While it is something we eagerly look forward to, we realise at such events that our duties are no small tasks. We pray to Allah that He may, out of His sheer grace and mercy, enable us to live up to the expectations our Imam has of us and that we may, very soon, come to see the Ahmadiyya Jamaat at the forefront of battling materialism and worldliness.